Morocco’s mountain people have grown olive trees since ancient times, but unstable weather due to climate change has recently placed that heritage in jeopardy. Growing olives in agroforestry systems, where olive, fig and carob trees prevent erosion and provide cover for vegetable, fruit and herb plants that grow below, has provided better harvests for a group of women’s cooperatives. The cooperatives, called Femmes du Rif, have boosted the value of the 328 members’ olive oil, leading to remarkable social impacts ranging from better education for their children to improved infrastructure and even promotion of some members to regional and national political positions. 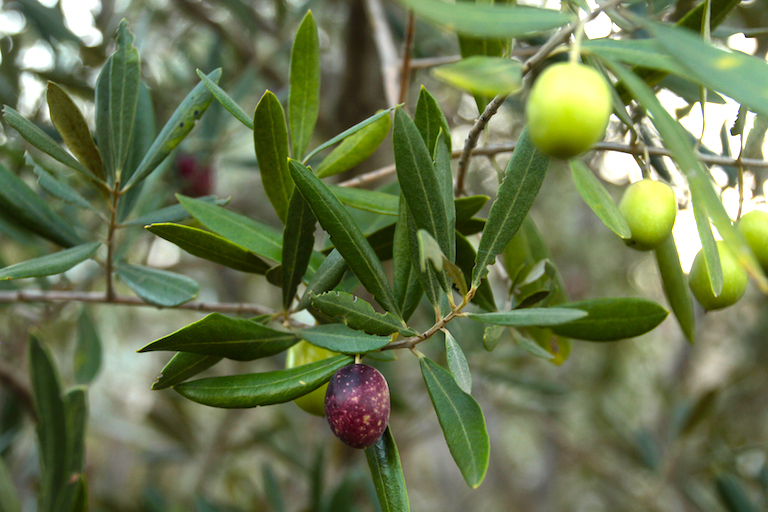 Climate variability has caused an unprecedented and ongoing delay in the cooperative’s current olive harvest, underscoring the need to continually adapt to changing conditions through techniques like agroforestry. OUEZZANE, Morocco — Suisi Rheia was checking the olives on her tree in front of the community huilerie, or olive oil mill. It was already mid-November 2018, but some fruits were still green, while others were almost totally purple. All of them were definitely full of water, not ready for the harvest due to too much rain after a long period of drought. In the Rif, Morocco’s northernmost mountains, the climate is more unstable than ever. The end of the olive-picking season should have been Nov. 20, coinciding with the birthday of the Prophet Muhammad. Rheia’s family should also have had fresh-pressed oil on their table, especially for tajine, the popular dish named after the earthenware pot in which it’s slow-cooked. But during the summer of 2018, temperatures hit 44 degrees Celsius (111 degrees Fahrenheit), hot enough to burn fig flowers. Then during the autumn, rains were so heavy that the olives weren’t ripe yet. Suisi Rheia, 85, checking olives for ripeness. Image by Monica Pelliccia for Mongabay. Rheia and 328 other women are part of Femmes du Rif, a local “group of economic interest,” or GEO, supervised by the United Nations Industrial Development Organization (ONUDI). 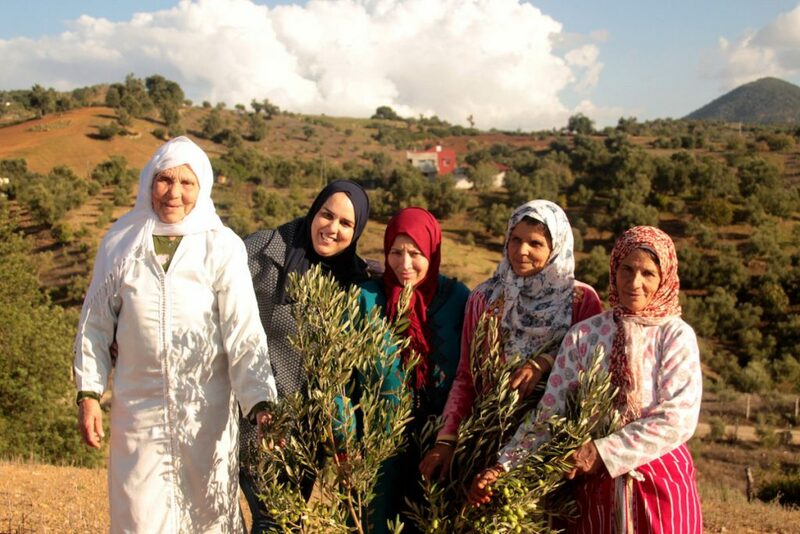 It’s a project that brings together 10 all-women cooperatives practicing agroforestry and producing olive oil in the Rif Mountains. Most are scattered in remote villages surrounding Ouezzane, a city well-known for the religious practice of Sufism. The Jebala people’s economy has been linked to olive trees since ancient times, but climate instability looks likely to disrupt this tradition. 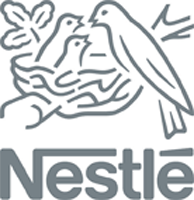 The United States Agency for International Development (USAID) estimates an increase in the average temperature in Morocco of 1 to 1.5 degrees Celsius (1.8 to 2.7 degrees Fahrenheit) by 2050, and a consequent 50 to 75 percent reduction in yields of rainfed annual crops during dry years. A recent World Meteorological Organization report noted that 2017 saw a new global record of greenhouse gas levels in the atmosphere, which is driving long-term climate change, sea level rise, ocean acidification, and more extreme weather events. Agroforestry can offer an alternative, though, thanks to trees. This practice of cultivating trees like olives with annual crops reduces soil erosion and water loss. 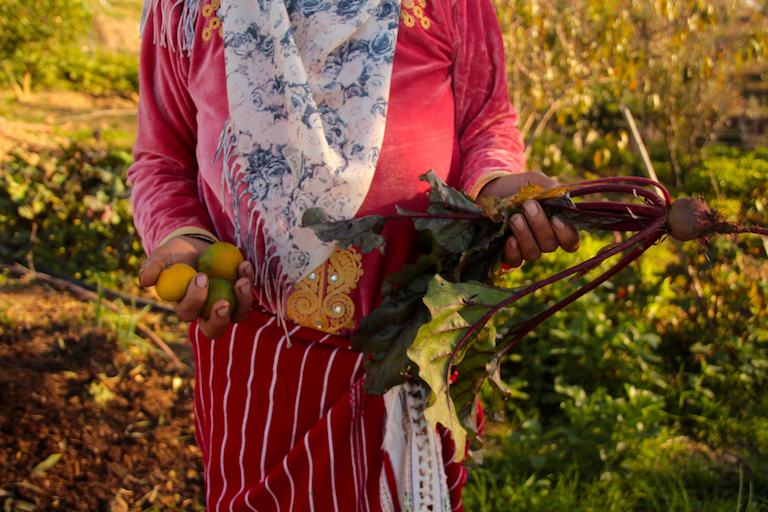 It’s already well-established in oases and mountainous regions of Morocco, where arable land and water resources are scarce, according to a study by AGFORWARD (AGroFORestry that Will Advance Rural Development), a four-year research project funded by the European Union. Ripening olives. Image by Monica Pelliccia for Mongabay. Pur Projet, a French social enterprise, has also been funding Femmes du Rif’s tree planting since 2011. “Olive trees are perennial plants, resistant to several climatic conditions [that] guarantee constant incomes through olive oil commercialization with Femmes du Rif GEO,” says Anaïs Gentit, coordinator of Pur Projet’s agroforestry-based projects in Africa. 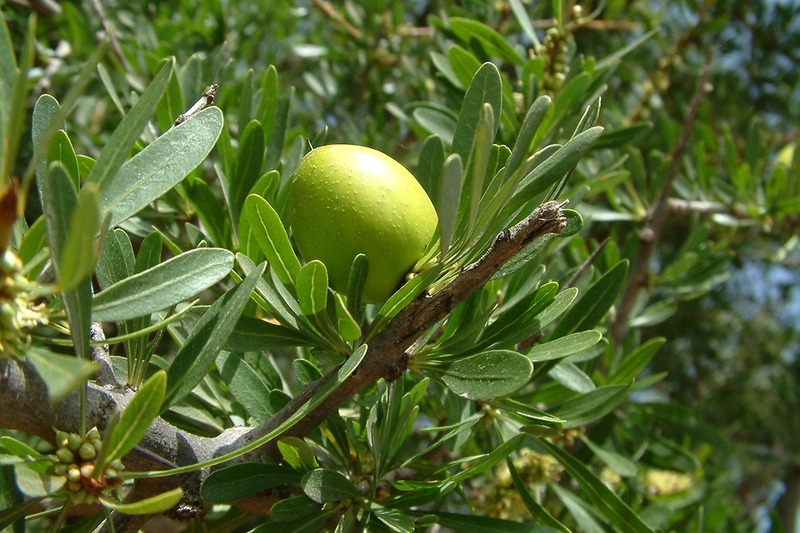 “Olive trees are grown in the same parcel as annual legumes that enrich the soil with nitrogen. Also, figs, carobs and legumes offer an extra income to the farmers, [who] can sell the surplus to the souk [local market],” she adds. Rabia Hakouch, 56, lives in the most fertile area of Asjen village, which is also home to hares, boars and partridges. In her garden, she grows tomatoes and beets, legumes, fruits such as oranges, and also oats to feed her goats, cows and chickens. She also grows medicinal plants like chamomile, thyme, mint and verbena for use in producing essential oils that treat rheumatism, headaches, and skin and mouth ailments. Hakouch is a widow and dresses in a long, black djellaba, the typical Moroccan tunic. She managed to pay for the education of seven sons and a daughter thanks to sales of her olive oil and also the fruits, vegetables, legumes and essential oils. In the past, many children had to help their mothers in the fields instead of going to school. From left: Suisi Rheia, Hanane Lachehab (Femmes du Rif president), Fatima Stitou and other member of Femmes Du Rif at the top of Stitou’s land in Aïm Beïda, Ouezzane Province. Image by Monica Pelliccia for Mongabay. Femmes du Rif’s olive oil has helped ensure these revenues. The IGP designation, which certifies that the oil is produced only in this region, allows the women to sell their olive oil at the higher price of 43 dirhams ($4.50) per liter instead of the typical market price of 30 dirhams ($3.20). IGP designation means the oil can reach different clients, such as hotels. They also avoid the expenses of travel to the market in the city, more than an hour’s drive from their villages. Fatima Stitou, 60, recently managed to renovate her house. She lives in Aïm Beïda village and is Rheia’s neighbor. As in most cases here, their farm plots are located on a slope, on which they grow olive, carob and fig trees. From the peak, there’s a panoramic view of the valley and the surrounding mountaintops, almost entirely covered with olive trees. On the horizon, a neighbor is returning home on the back of a donkey, a veil around her face protecting her from the dust. Upon returning to the village, the women have mint tea on Stitou’s patio. They eat khobz, the typical round loaf cooked in a wood oven, accompanied by green and black olives and seasoned with garlic. Everything here comes from their gardens, including the basic ingredients of a favorite recipe of the Jebala people, bessara, a dry fava bean soup seasoned with plenty of olive oil, cumin and paprika. Olive oil is a central ingredient in Moroccan cuisine, as in the wider Mediterranean. 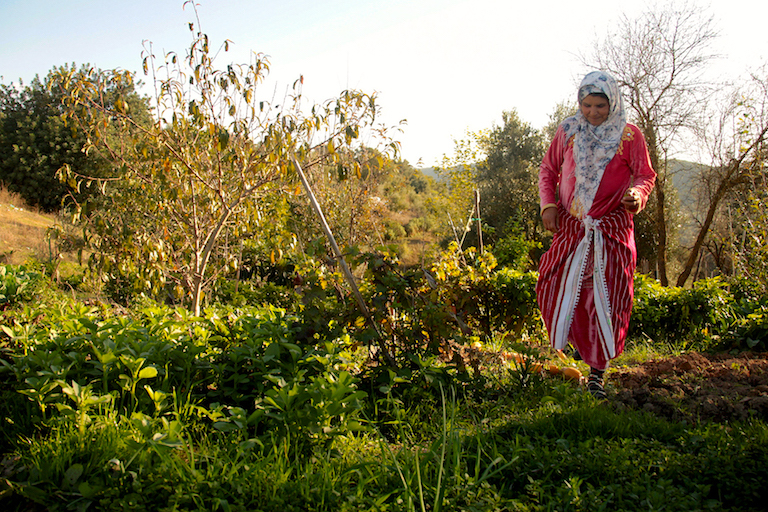 Fatima Stitou in her vegetable garden shaded by olive trees. Image by Monica Pelliccia for Mongabay. And perhaps most importantly, the members’ new economic stability has helped them abandon the growing of cannabis. The crop is illegal, grown mostly in Larache province, close to Fez and the Rif Mountains, especially in the areas surrounding Chefchaouen. For Hanane Lachehab, Femmes du Rif is much more than agroforestry and production of IGP olive oil. It’s the reason that gets the women out of their houses and provides well-deserved recognition for their work, which normally goes unacknowledged. There’s also been progress on their social rights: their roles within the cooperative are specified in their documents and certified by municipal employees. This allow them to vote for the political representative to the regional chamber of agriculture, and to be elected themselves. Lachehab studied management at university and then decided to return to her village and find a way to create job opportunities for her neighbors. Now she’s a political representative for the North Regional Committee, elected thanks to her work with Femmes du Rif (for which she also won a Terres du Femmes Prize in 2017). She also proudly tells Mongabay the story of her neighbor, Fatima Habboussi: In 2015, the Femmes du Rif member became the first woman elected to the Moroccan parliament, after serving on the Regional Chamber of Agriculture committee. Fatima Stitou shows other products of her agroforestry system, beets and citrus. Image by Monica Pelliccia for Mongabay. 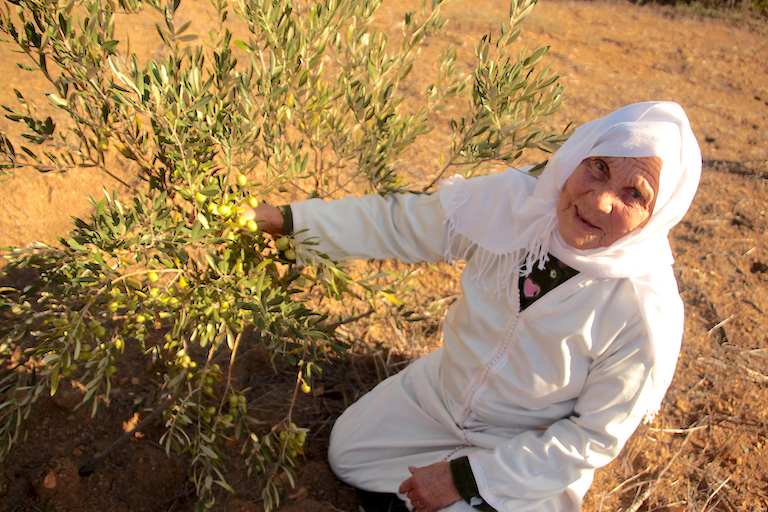 “Jebala women always worked in the olive oil fields,” Lachehab says. “Thanks to the cooperatives, women are more and more exposed to public life. They exist also outside of their villages and families. Most of them just traveled for the first time away from their villages to participate in meetings both in Morocco and in foreign countries,” she adds, referring to a recent trip to Spain to promote the group’s olive oil. But Lachehab, like Suisi Rheia, has never experienced such a seasonal delay in olive harvesting during her 18 years in the business, as they’re seeing now. Checking the weather forecast on her phone, she notes that more rain is expected the following week; the olives will need at least one sunny week to ripen on the trees. Though harvest time had not fully arrived yet for the Femmes du Rif members (and is still not complete at the time of this writing), they now have the luxury of waiting, thanks to greater incomes and financial resiliency provided by their cooperative and the sustainable agroforestry farming system that supplies its olive oil. 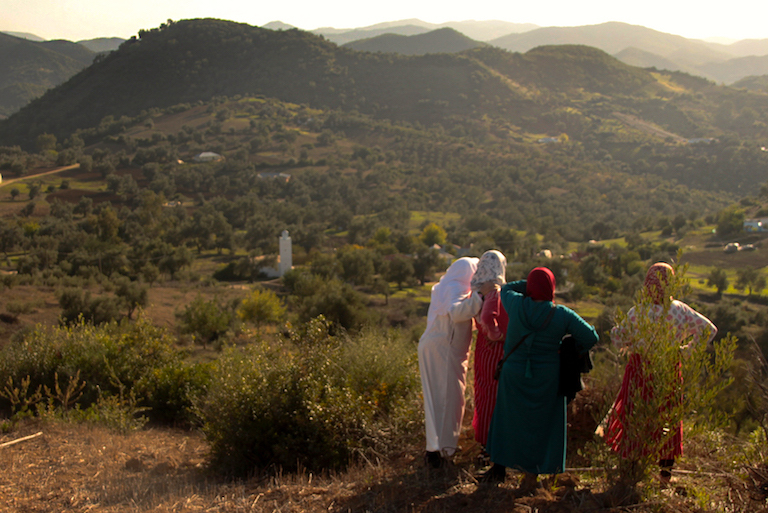 Looking out on a bright future, members of Femmes Du Rif stand atop Fatima Stitou’s parcel surrounded by lands growing olive, fig, and carob. Image by Monica Pelliccia for Mongabay.